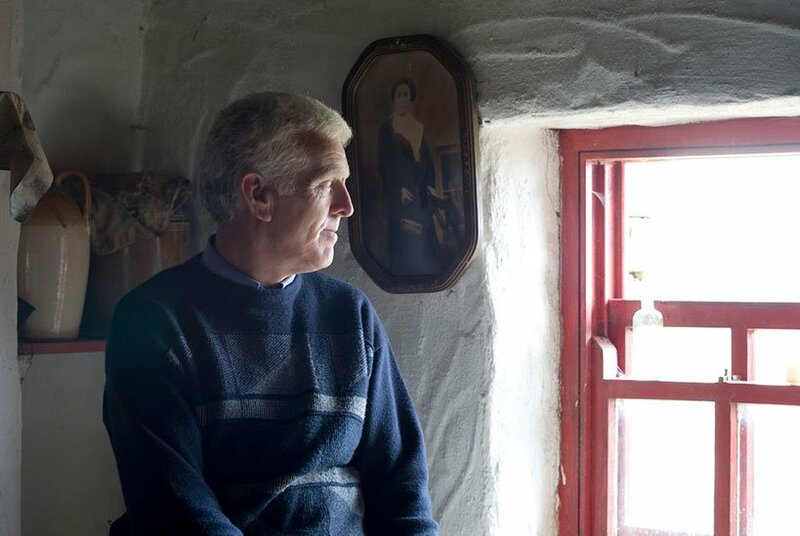 Irish history doesn’t end on the shores of the island, as millions left for a better life over the past centuries, most notably during the infamous famine. 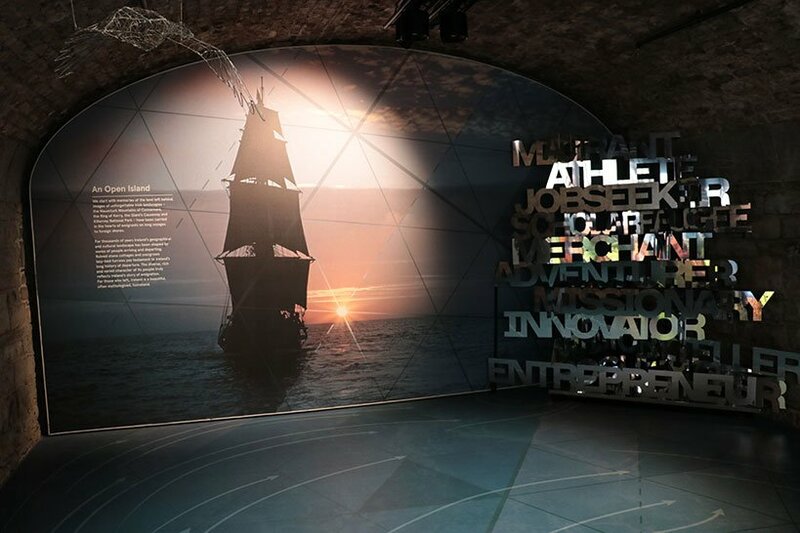 EPIC The Irish Emigration Museum has a very broad focus and will teach your group about the stories of Irish migrants to all corners of the world, dating back hundreds of years. The Jeanie Johnston was sailing during the famine and transported migrants from Dublin to America, mostly Quebec. Today, a faithful to-scale replica houses a famine museum floating on the Liffey. Both are great experiences if your group is interested in the long history of Irish emigration – combined, they give tourists a great insight into this integral part of our history. The stereotypical surfer is surrounded by summer, sun and palms, but that doesn’t frighten off the Irish from surfing in the Atlantic! Brave souls and veteran surfers looking for something new will have a field day on the shores of the Wild Atlantic Way, where you will find many suppliers of surfboards and tips on the best beaches. Beginners and advanced surfers alike can visit Aloha Surf School on Fanore Beach to rent equipment and ride the Atlantic waves. True to its Celtic heritage, Ireland has held onto some very unique traditions and myths – one of the more famous ones being the leprechauns. 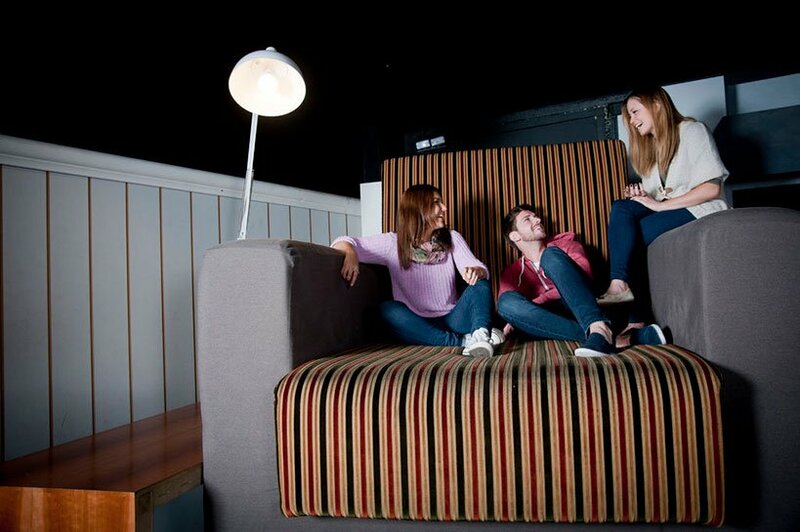 Learn about their various appearances in popular culture and feel just as small as them in a room with oversized furniture at the National Leprechaun Museum. Leprechauns are not the only myth you will learn about here though. The museum’s guide will introduce you to many Celtic mythological creatures, such as púcas, fairies and banshees, making the museum a fun experience especially for youth groups. Irish Whiskey has seen a surge in popularity since the 1990s, with more and more distilleries coming into business each year. While Ireland only had 4 distilleries in operation in 2010, this number has quadrupled to 16 in 2017, with over a dozen more currently in the planning stages. 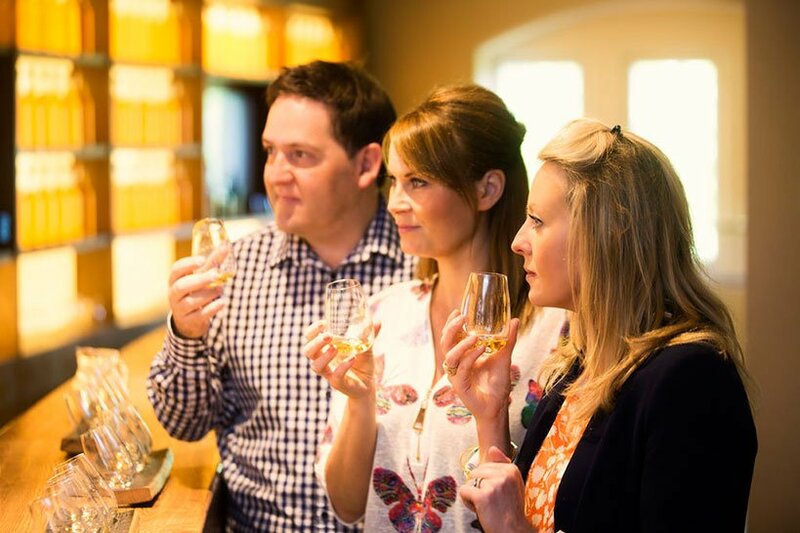 The Irish Whiskey Museum offers a great opportunity for your group to learn about the beverage’s history before its recent resurgence, how it came to its fall and what the industry is like currently. Rugged, yet beautiful Connemara in Co. Galway is home to this farm where tourists can get a glimpse into rural Irish traditions. From soda bread baking to turf cutting, the life of a typical Connemara farmer is replicated here. Martin and Nora have some great stories to tell about Dan O’Hara, a 19th century tenant farmer who had to leave the island for New York City. You can also enjoy some home-made scones with tea while you relax by the fire at the Dan O’Hara Homestead. Irish Pubs might have spread all the way to the United States and mainland Europe, but fans of Guinness, Kilkenny & co. shouldn’t pass up the chance to visit a genuine pub here on the island. Dublin, Cork and the other cities have an almost overwhelming number of pubs spread throughout the centre, so you’ll have no problem getting to one. For the full experience, find a place with some live music in the evening – just look for signs or ask the friendly bar staff! If your group is touring the Irish countryside, a trip to a rural pub can also be a great experience – you’ll get a much more local and relaxed atmosphere than in the cities if you go where the locals go. *Please note: children under 15 years of age cannot legally enter pubs without a parent or guardian – children aged 15 to 17 may do so. All under-aged visitors must leave the premise by 9.00 PM (10.00 PM from 1st May to 30th September). While chocolate may not be the first thing that comes to mind when our groups debate coming to Ireland, our Irish chocolate is a true sleeper hit. Not only can you buy the fantastic Butlers chocolates in shops all over Dublin, there’s also Butlers Chocolate Experience, where tourists can learn about the chocolate making process, its history in Ireland and even get to decorate their own chocolate figure. You can also visit Caffreys Chocolate Warehouse in Dublin for a behind-the-scenes look at chocolate production! St. Patrick’s Day is incredibly popular with visitors from all around the world and the parades here in Ireland are definitely worth a visit – but we also have many more festivals to offer you! The year starts off with Tradfest in Dublin, with traditional Irish music – also celebrated at Fleadh Nua in May! Literary Groups might be interested in Bloomsday and the James Joyce Festival in May. Galway International Arts Festival covers a range of art forms with over 200 events every year – there will definitely be something in the mix for your group! Horror fans should consider visiting Derry~Londonderry for Halloween, where Europe’s largest All Hallows’ Eve celebrations take place. At the Guinness Storehouse, Ireland’s #1 tourist attraction, you can learn about the dark drought’s brewing process, its long history and its inventor, Arthur Guinness. Climb to the top of the building and enjoy the view over Dublin from the Gravity Bar with your complimentary free pint! Since it prominently featured in Star Wars, the UNESCO World Heritage Site of Skellig Michael has received a lot of international attention, but you don’t have to be a fan of the galaxy far, far away to enjoy your jaunt here. While the boat trip over the harsh Atlantic waves and the following climb is hard and only possible when the weather plays along, the views are more than worth it. The 6th-century monastery is a fantastic sight to see and the local puffin population is a highlight for animal lovers. While GAA sports such as Gaelic Football, Gaelic Handball and Hurling may be more iconic, Greyhound Racing is a pastime very popular in Ireland. Races are regularly held at Shelbourne Park Stadium in Dublin, Curraheen Park in Cork, the Galway Greyhound Stadium and many other locations all over Ireland! You can just sit back and enjoy the race with a nice dinner or join the fun and bet some money on your favourite dog – if you need guidance, the staff will gladly give you an introduction. Glendalough – the Valley of Two Lakes – in Co. Wicklow just south of Dublin is a great daytrip if your group wants to spend some time away from the big city. The valley is popular with hikers and offers trails of varying difficulty – the hardest taking you up the Wicklow Mountains. Down by the lakes, you will find a 6th century monastic settlement with a number of intact buildings to explore, most famously the round tower. 13 - Try Some Irish Salmon! Ireland has plenty of coast and rivers and we love fishing for everything swimming down the Shannon and in the Irish Sea – from cockles and mussels to salmon and sea trout. Especially our smoked salmon is a staple of Irish delicacies and popular around the world – if your group wants to taste some straight from the smoker, schedule a visit to the Burren Smokehouse – it’s best reached from our Cliffs of Moher Hostel. Fota Wildlife Park is a non-profit and a forerunner of Irish animal conservation efforts. If your group likes animals (who doesn’t? ), this the place for you to come! Unlike a regular zoo, some animals in Fota Wildlife park roam free on the grounds – especially smaller animals can be observed closely. Larger animals of course, such as giraffes and lions, are kept in separate enclosures. Ever heard of Spike Island? No? Well, then it’s about time you visit Europe’s leading tourist attraction of 2017 according to the World Travel Awards! Take your group down to Cork, where you will find Spike Island and Fort Mitchell there guarding its bay. In the past, the island has also been home to a monastery and the fort was used as a prison late into the 20th century – there is a lot of history from to discover here! Want to check out some more activities unique to Ireland? We’ve got you covered – here’s 9 more! Already have an idea what you want to experience? Even better! Just contact us at Celtic Group Hostels and start planning your group trip to Ireland now.